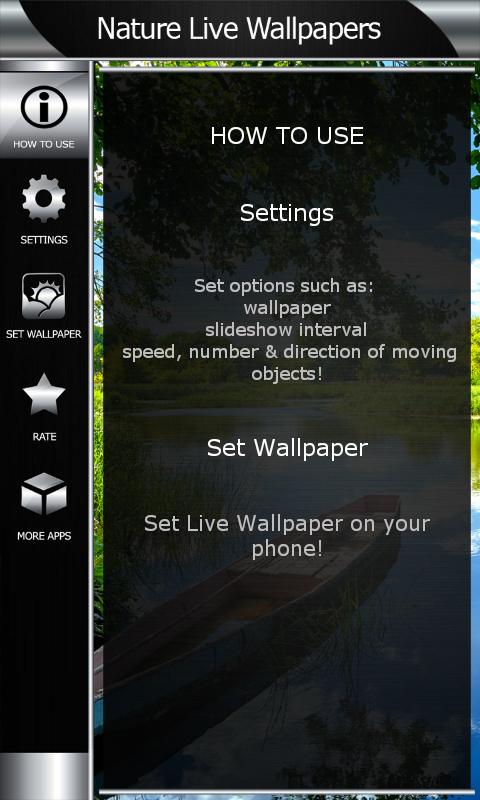 The breathtaking and stunning landscapes are available to you thanks to the latest Nature Live Wallpapers. Now, you can turn your smartphone or tablet into something completely new that and your friends will be surprised. Enter the world of bright colors and fascinating photos that will give you the impression that you are outside enjoying the warm sunlight. 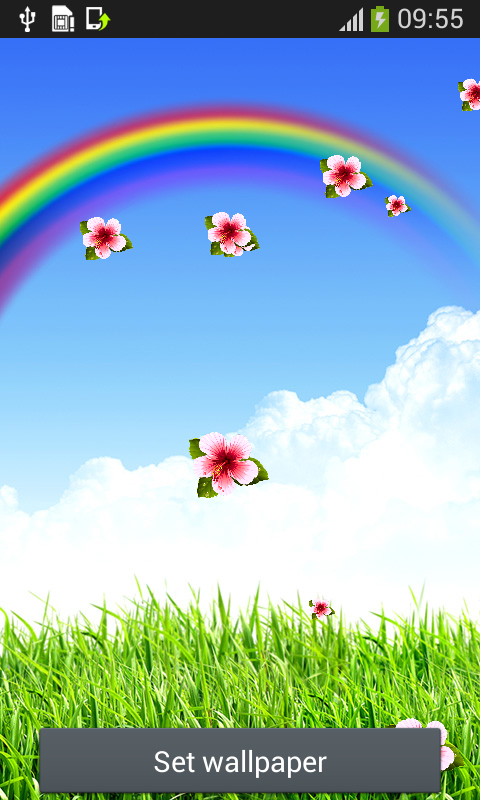 Download free Nature Live Wallpapers app and get the incredible experience. 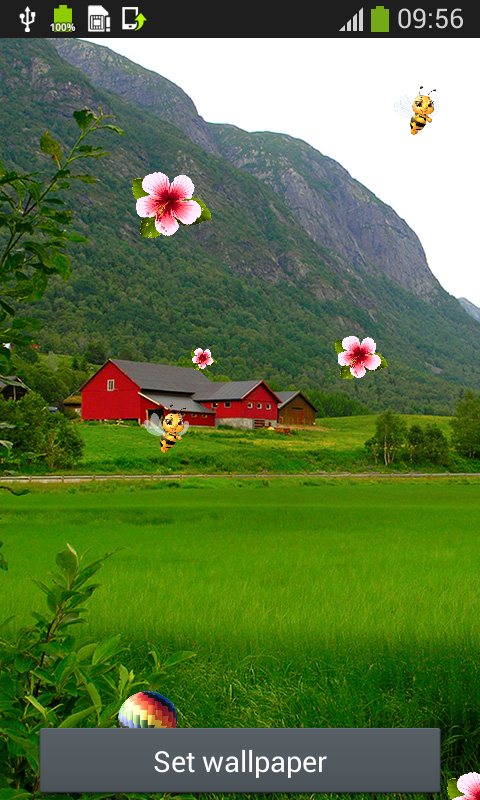 Walk around the emerald grasslands and breathe the fresh air. 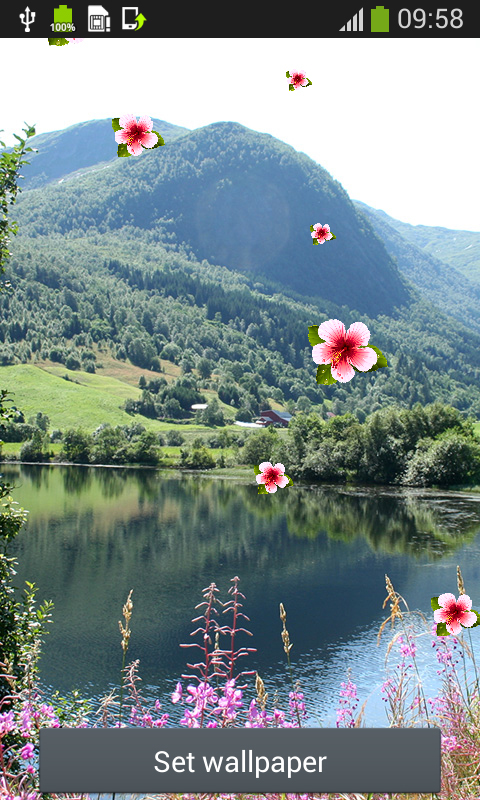 Or you can sit next to the lake and gaze at the colorful wildflowers. There are a lot of different moving effects for your device. 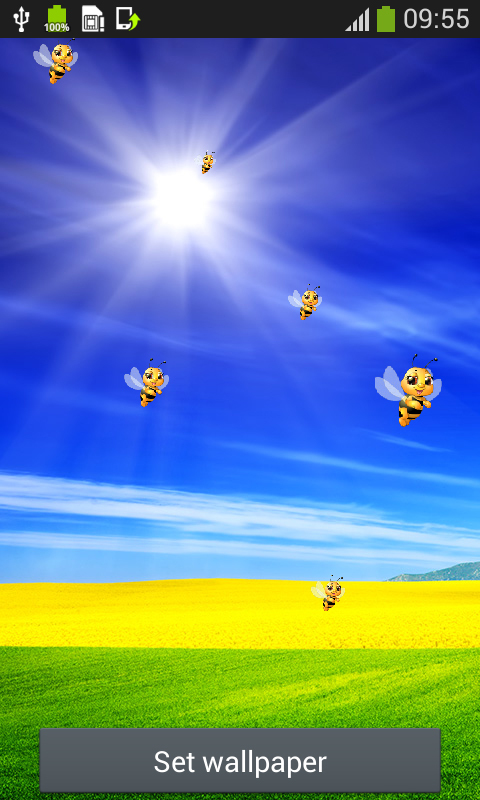 You can set flowers and bees to slide across your screen. Or you can go for a ride in a hot air balloon and enjoy the view overlooking the meadows. The fluffy clouds that go by will keep you company. The perfect summer day awaits you. 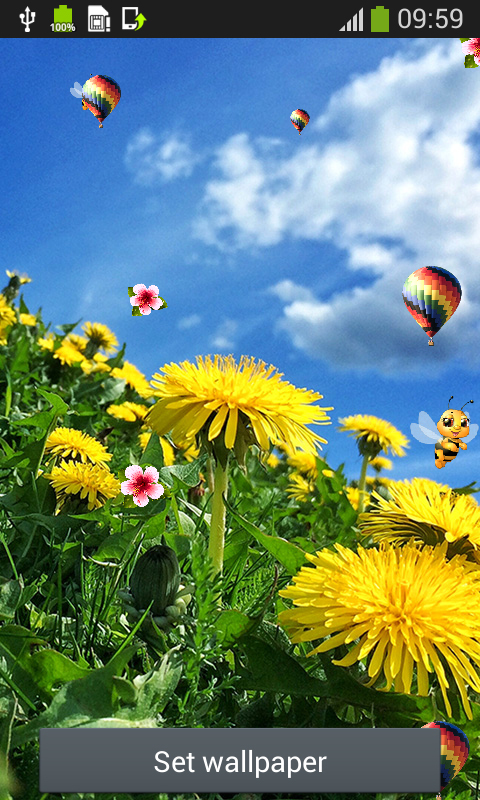 Lie down on the field filled with dandelions and let their yellow color cheer you up.